Its frequent for those who visit Lisbon to reserve a day to visit Sintra and, with all the reason of the world, they do this, as this is one of the most beautiful and romantic villages you can meet, and is even considered by UNESCO as a World Heritage site. The palaces, statues, historic buildings, the streets full of mystery, will make adults and children feel in the middle of a fairy tale, and its a perfect day for a family trip. Several tour operators offer the possibility of doing this activity from Lisbon but, being this village so close to Lisbon, about 30 kms, it’s not necessary and the amount you would spend on this excursion may help you to pay for a delicious lunch in the Village and, of course, to eat a delicious dessert, which Non Stop Family has to recommend to be a Quejada de Sintra or a Travesseiro (Pillow), which you can buy in Pastelaria Piriquita, located right in the center of the village (see it here). Sintra is a perfect an one day trip, but if you could, I would recommend that you spend at least one night in this villa, it will be worth it. There are 3 main options to get there: by bus, train and car. However, the Bus option is the least recommendable, in addition to lead to bus changes, it passes through various cities, the travel time is the largest and we certainly not recommended, so we will leave aside that option. 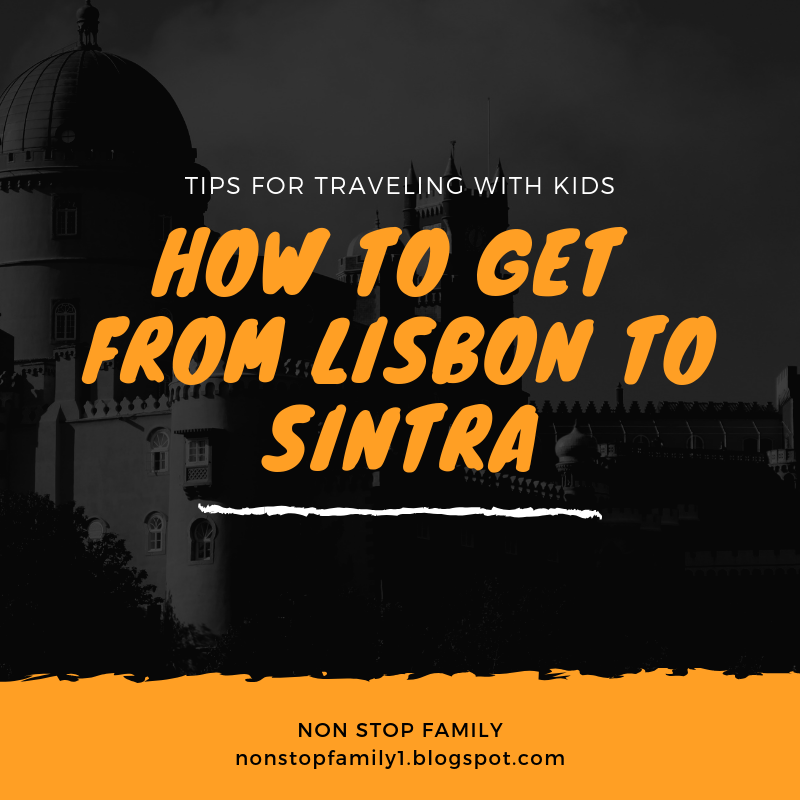 This is undoubtedly the best option for those who wish to travel from Lisbon to Sintra, whether for comfort, travel time and price, espetialy for a family trip, because the costs of a tour are much higher. 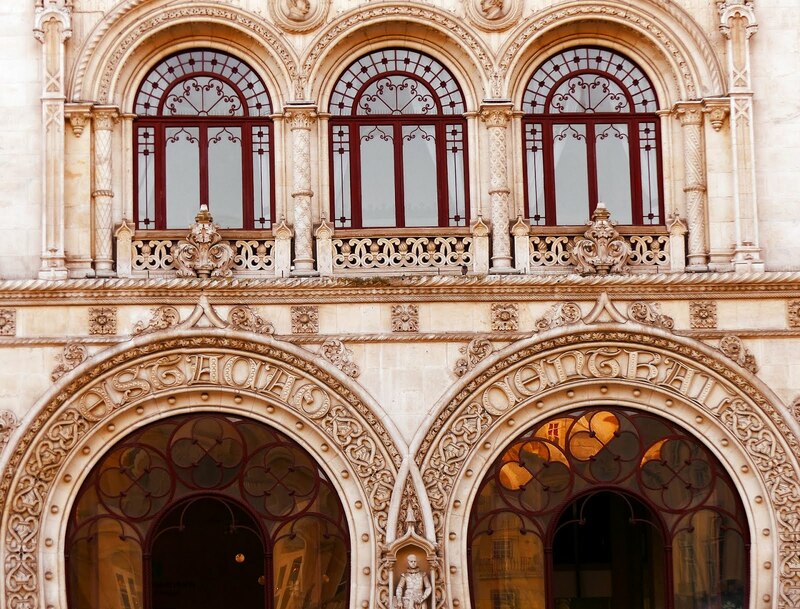 The Lisbon-Sintra train line starts conveniently at the beautiful Rossio Train Station, which is right next to the Baixa (Dowtown) of Lisbon, in the historical center of the city and is, by itself, a historic building to visit. Even if your hotel or place of departure is not in downtown Lisbon, or even if you come from the airport and want to go directly to Sintra, Rossio Train Station is linked to the Rossio Metro Station on the Green line of the Lisbon Subway, so you can go by metro from your location to Rossio Station and then take the train that will take you to Sintra, the last station of the trip. The journey takes between 30 to 40 minutes and although there is no possibility to buy tickets online, there is no danger of don’t get tickets, as they will always be available. The price of travel in 2018 is € 2.25 for adults and for € 1.15 children, Sintra is consider to be in Zone 4, when you buy the ticket. You can check more information about the updated ticket prices here. 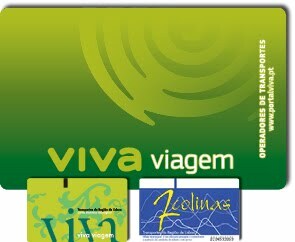 To purchase it, you must buy the Viva Viagem card (more information here), which costs € 0.50, is reusable, has a validity of one year and gives access to several public transport operators in the metropolitan area of ​​Lisbon. 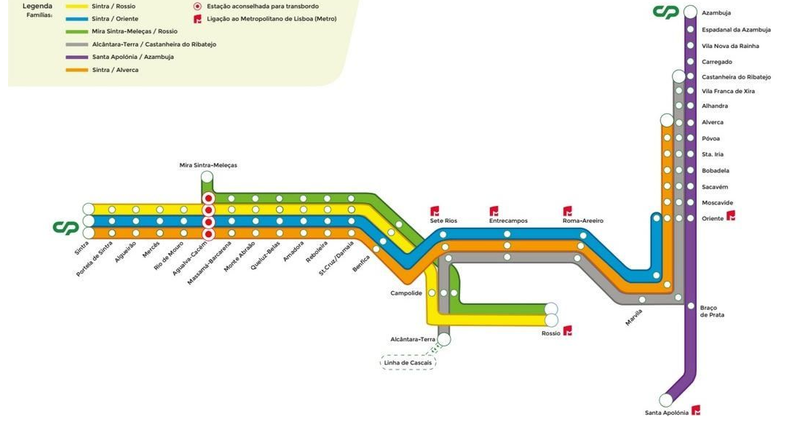 The card allows you to load a single type of ticket at a time, that is, after buying the card, you must at each station purchase the ticket for the route you want before you board the train (in this case, Lisbon to Sintra, Zone 4), and in the return do the same. Do not forget to validate the ticket before entering the train in the machines before the entrance to the trains, are easily visible and, save your ticket until the end of the trip. There is also the possibility of purchasing the “Traveling all Lisboa “ticket. This is a great possibility for those who want to walk around Lisbon and see Sintra and Cascais. For €10.40 (2018 price, for more detailed information see here) you can buy with your Viva Viagem. And the ticket “Traveling all Lisbon”, besides allowing you to travel by all the trains, buses and metros of Lisbon, still allows you to use the train to Sintra and Cascais, being able to go out and return whenever you want, wherever you want. There is also the advantage of being able to use the lifts in Lisbon, which is an added advantage to, among others, climb the Santa Justa elevator (see more information here). The Sintra line is widely used by Lisbon as a daily means of transportation to reach the city center, so ther’s a big frequency of trains, making it difficult to wait more than 15 minutes for the next train. The first train leaving from Rossio towards Sintra takes place close to 5:00 and the last one leaving Sintra back to Lisbon leaves at around 00:20. However, we recommend that if you want to leave early or return late, check the correct schedule here. Like the Rossio station, Sintra Train Station is also close to the historic center and less than a 10-minute walk will make you feel at the center of a fairy tale. After getting to know the Historic Center of the City, you will probably want to get to know the Moorish Castle, as well as the Park and the Pena Palace. Although it is possible to walk to these tourist attractions, it is a long and steep walk and we advise you to do it through the tourist bus 434, which leaves next to the railway station, passes through the center of the village of Sintra, then follows to the Castle of the Moors, passing by the Pena Park and finally by the Pena Palace, before returning to the Sintra Railway Station. The price in 2018 is €5 for the tourist circuit, which can be purchased on board the bus with your Viva Viagem card. In summer there is more Bus offer than in winter, but to check the updated timetables and prices see here. This is undoubtedly the best option to know the beauty of Sintra for those who only have one day in the Village. 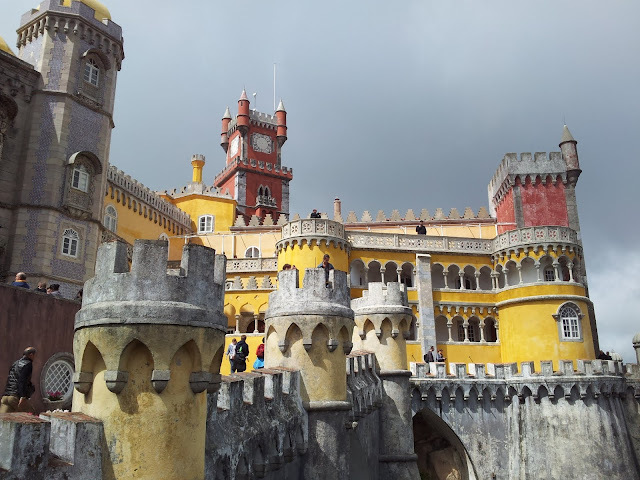 In addition to the bus and the train, we mentioned as a third hypothesis, the car trip to Sintra. This route takes you through one of the country's busiest roads, the IC19, in a journey of about 30 kms, with at least the same duration as the train journey and, on bad days, much longer. Theres the aditional problem that the historic center of Sintra is not the easiest place to park. If you go by car, its better to park far from the center and do the rest of the journey on foot. 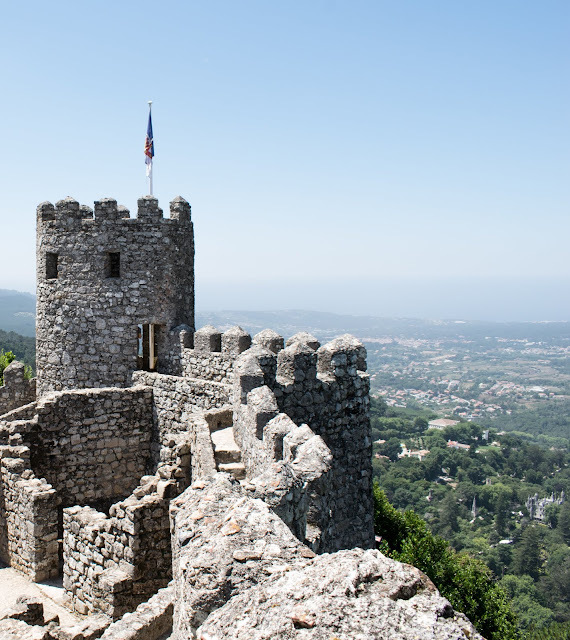 For a consultation of the offer at the parking level in Sintra, check here. We hope this information helps you to plan your travel, a perfect destination for a family trip. We are waiting for your comments and suggestions. 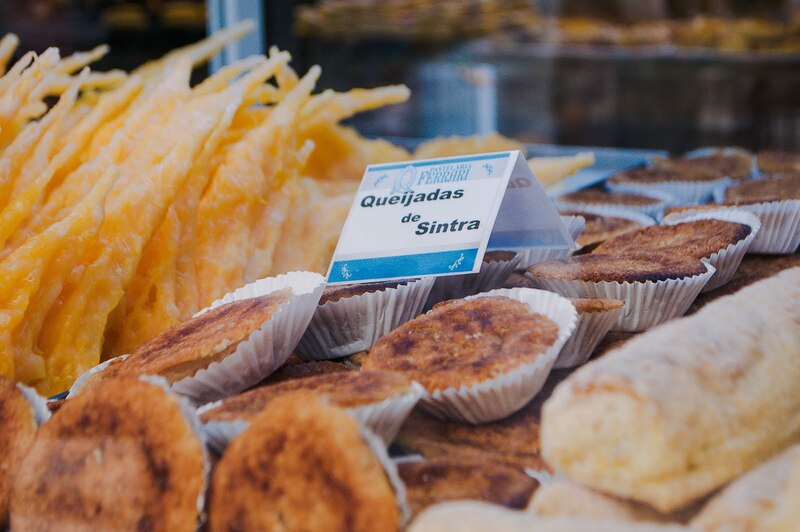 Discover here the best itinerary for one day in the perfect village of Sintra. For more information about family activities in the Lisbon area, click here. Thank you very much, we are happy to help.